Now and again we tend to list a new cool item that's on kickstarter or indiegogo, but this one I had to share as it just one the 2014 Indiegogo Maker Challenge, and it looks really cool. For a $49 investment you can get one of these Fuelboxes as a perk (or $90 for 2). We've covered LOTS of power options for your phone here on the site. But I think this is a very cool marriage of a bunch of the different ones. 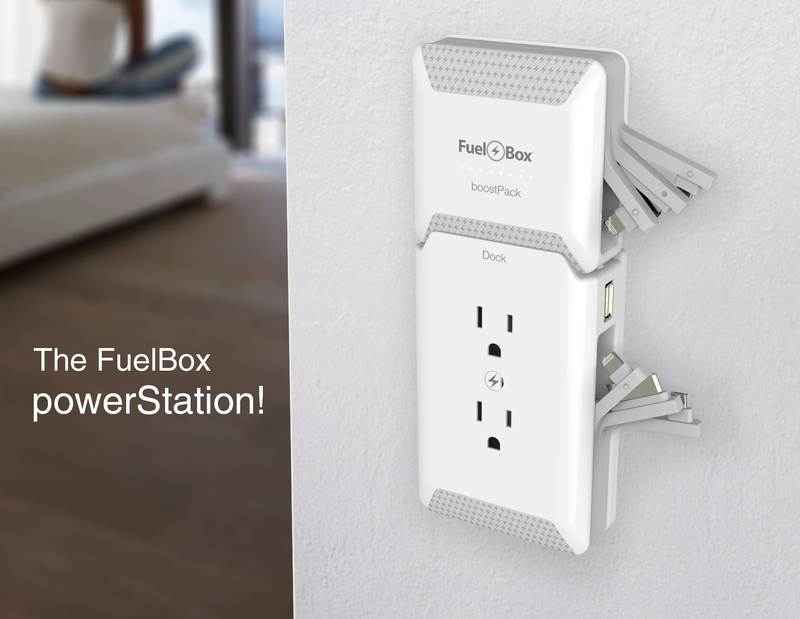 Fuelbox is a plugin for your wall, which doesn't obstruct the plug ins as it will also have 2 external options, but include a USB and adapter plugs for your device. Nothing new there. It also has a battery pack (5200mAh is no slouch). Again nothing new. Plus, the top of the Fuelbox allos you to rest a phone or a tablet on top of it to charge when needed. Very cool. For $100 (you'll have to add $10 to ship to Canada) it's not a bad price for what's out there these days.